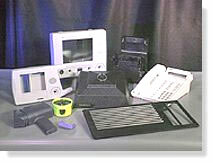 Plastic Injection Molding - Delivering Quality, Cost-Effectively . . .
We provide superior manufacturing integration and product development for any plastic injection molding program from highly engineered plastic components and small devices to large enclosures. Employing a range of equipment and programs for the design and engineering of molds and for manufacturing, achieving "cycle time" reductions and efficiencies. A truly integrated and efficient plastic-molding operation, delivering quality, consistency and savings. 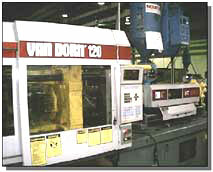 Injection molding presses from 80-770 ton capacity and 4.0-168 oz. shot capacity. Numerical control of EDM equipment, lathes and multi-axis milling machines. Plastic resins processed include, engineering, high temperature fiberglass and other "filled" and "custom" colored materials. Insert molding and over molding using Vinyl, TPE, TPO materials. Part joining (ultrasonic welding; solvent bonding; sonic heat staking). Pad printing; Hot stamping; Silk screening.